Edmund Burke ranks among the most accomplished orators ever to debate in the British Parliament. But often his eloquence has been seen to compromise his achievements as a political thinker. In the first full-length account of Burke's rhetoric, Bullard argues that Burke's ideas about civil society, and particularly about the process of political deliberation, are, for better or worse, shaped by the expressiveness of his language. Above all, Burke's eloquence is designed to express ethos or character. This rhetorical imperative is itself informed by Burke's argument that the competency of every political system can be judged by the ethical knowledge that the governors have of both the people that they govern and of themselves. 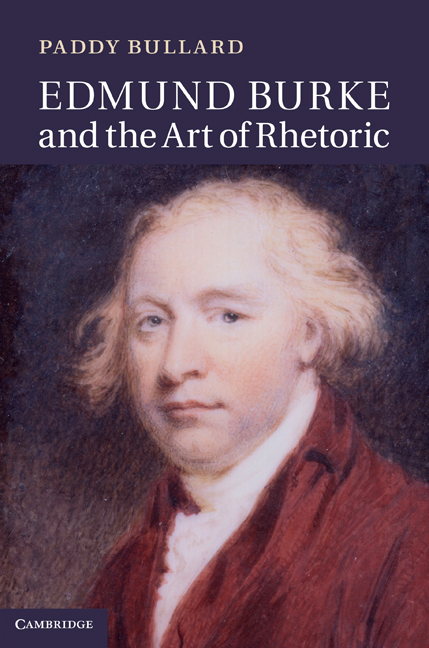 Bullard finds the intellectual roots of Burke's 'rhetoric of character' in early modern moral and aesthetic philosophy, and traces its development through Burke's parliamentary career to its culmination in his masterpiece, Reflections on the Revolution in France.